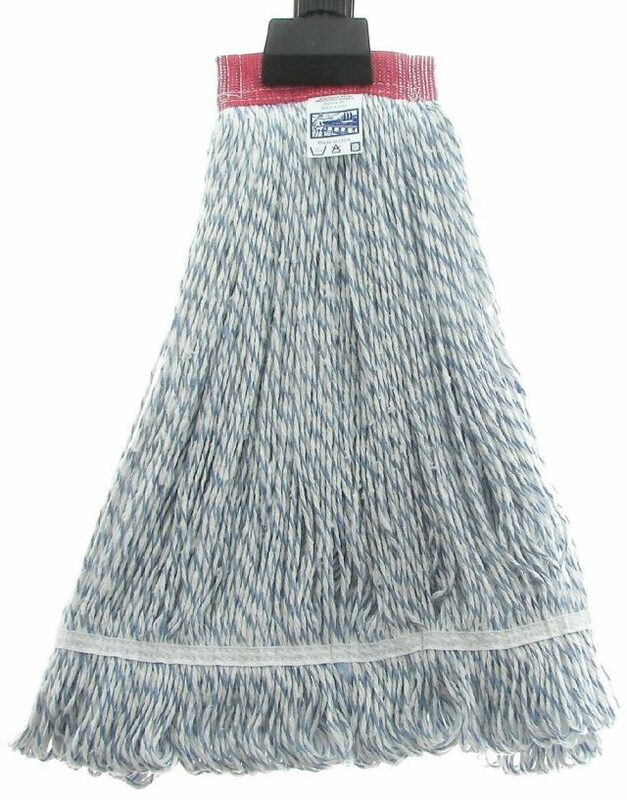 Our Candy Cane Looped End wet mop is ideal for the final touch on your floors. The unique blue and white construction distinguishes this finishing mop from other mops. Made from 4-ply white rayon yarn with one premium blue strand. Looped ends resist tangles and frays. Durable vinyl-coated polyester mesh center band available in wide or narrow. Sizes available: 12, 16, 20, 24, 28 ounces.